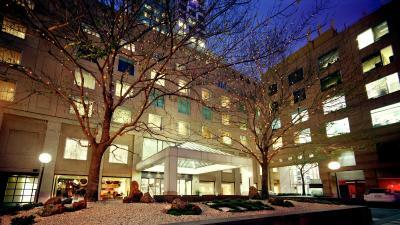 Lock in a great price for The Como Melbourne - MGallery by Sofitel – rated 8.9 by recent guests! I requested Memory form pillows and they have them ! Particularly pleased to receive a phone call from the COMO a couple of days before I travelled to Melbourne seeking advice on my expected time of arrival. As I was expecting to be at the COMO by 3pm this ensured that my room was ready for my arrival. The COMO's closeness to public transport and good eateries. Wintervention special in a deluxe king room. Comfortable bed. 2 free bottles of water. Very appealing mini bar! Nice breakfast included with lovely filtered coffee available too. Soho bar made a nice almond latte & excellent churros! Lovely toiletries. Amazing location, discovered fabulous restaurants within 2 minutes walk, the staff were consistently smiling and helpful, our room was large and had an outdoor patio area and attention to details such as really decent teabags and massive mirror really enhance the experience. Loved it! Great Leisure Facilities. Comfortable Bed. Awesome Location. We were accidently upgraded and then received a bottle of wine as an apology for the inconvenience (we were most definitely not put out by bigger room and big spa) and still got to remain in the beautiful room - lovely attention. Fantastic location, very comfy bed, great facilities and lovely staff. We will certainly stay again and recommend to others. thanks Como. 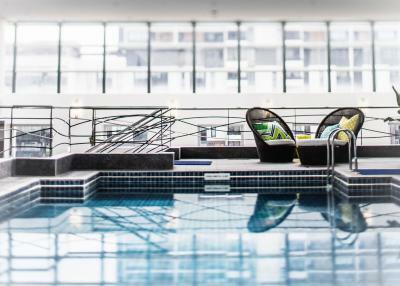 The Como Melbourne - MGallery by Sofitel This rating is a reflection of how the property compares to the industry standard when it comes to price, facilities and services available. It's based on a self-evaluation by the property. Use this rating to help choose your stay! 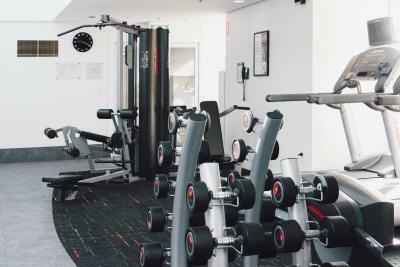 Featuring an indoor/outdoor pool and well-equipped gym, The Como Melbourne offers stylish and spacious suites located on the popular Chapel Street in South Yarra. Every room at The Como Melbourne features luxury bedding and bathrooms. Some suites also feature a kitchen. 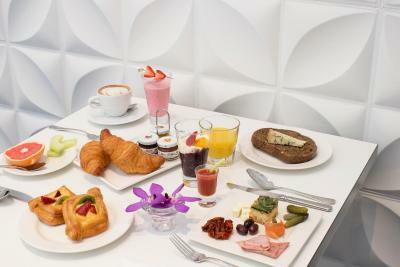 The hotel has a brasserie which serves breakfast, and a popular bar with an extensive cocktail list. The Como is perfectly positioned near the restaurants, boutiques and all attractions located in the South Yarra, Prahran and Toorak area. Several art galleries are with walking distance. There is a tram stop nearby, taking you to Melbourne city center, the MCG, Melbourne Park Tennis Center, Federation Square and The Arts Center. 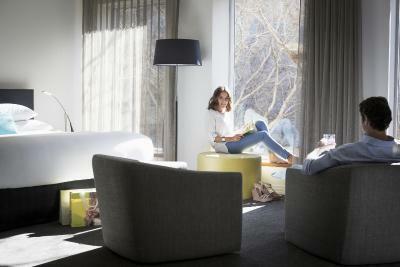 When would you like to stay at The Como Melbourne - MGallery by Sofitel? This apartment includes a separate lounge, a kitchenette, and a master bedroom with an private bathroom. Also included is a dining area and full kitchen upon request. Private parking is available on site (reservation is not needed) and costs AUD 40 per day. This air-conditioned suite features a private office and an open-plan living and dining area. It has a flat-screen TV with cable channels, and tea/coffee making facilities. 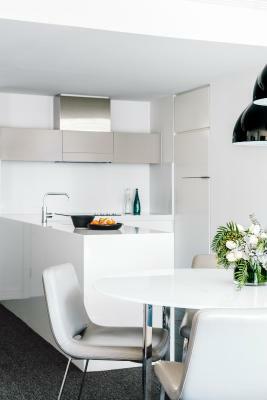 This apartment features a fully equipped kitchen and a central lounge and dining area. 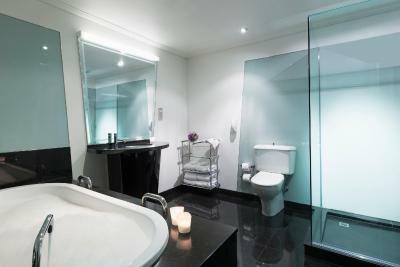 Each bedroom has a private en suite. Please note that there is no capacity for additional guests. Please note that the third guest will sleep on a roll-away bed. This triple room features a mini-bar, lounge area and spa bath. This double room has a tea/coffee maker, soundproofing, mini-bar and air-conditioning. This double room features a tea/coffee maker, soundproofing, mini-bar and air conditioning. The Como Melbourne MGallery is located in the heart of vibrant South Yarra Melbournes, renowned restaurant, shopping and cafe district. 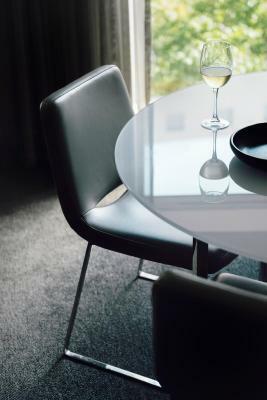 House Rules The Como Melbourne - MGallery by Sofitel takes special requests – add in the next step! The Como Melbourne - MGallery by Sofitel accepts these cards and reserves the right to temporarily hold an amount prior to arrival. Please note that there is a 1.5% charge for guests paying with a credit card. The instant coffee .. !! The lobby had a foul smell. The chair in the room were in the way and we heard the toilet flush above us and water going through the pipes all night. Most staff were friendly. Nice place. Breakfast was as what I expected. Good. This is a fabulous hotel. I can't believe a previous reviewer who said it was starting to look shabby. We were upgraded to a suite, and it was in excellent condition. Spacious, close to transport, food, shops, very well appointed, great service and great value for money. What more could anyone want? Decor a little dated. No restaurant. Bar area average with very uncomfortable couches. Great location. Spacious, quiet, light room. Loved our stay, lovely staff , great accommodation!! The hotel staff is very professional. They immediately arranged to clean the Black stain which was observed when I entered into the bath room after check in. After finishing the making up room in next day, it was cleaned up as perfectly comfortbale for me. Such professional capability of staff team would assure customer the perfect stay by taking care any future issues if occurs. I will certainly stay again when in my next visit in Merbourne.